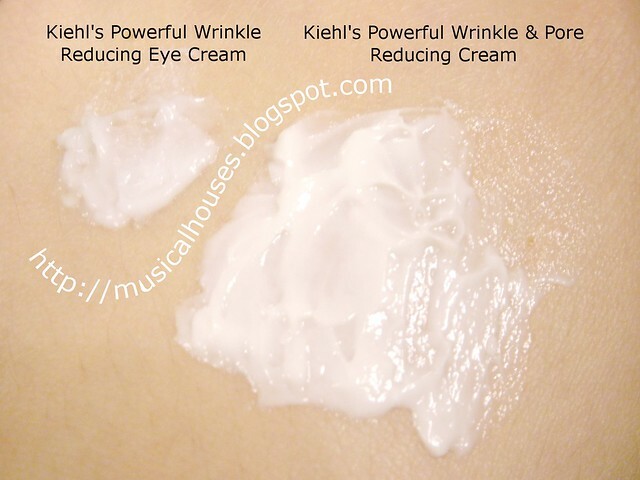 Kiehl's launched two wrinkle-busting creams, aptly called the Powerful Wrinkle and Pore Reducing Cream, and the Powerful Wrinkle Reducing Eye Cream. These were actually launched around a month or so ago, so obviously this post is slightly overdue, but well, like I always say, good skincare is timeless! 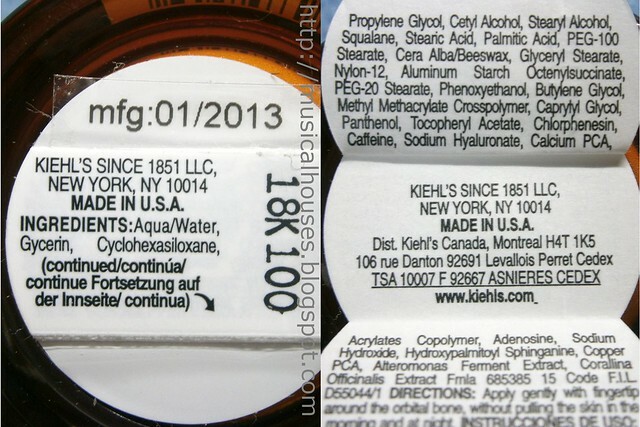 Kiehl's calls these two products "Powerful" - and we'll find out why. I've always been fond of Kiehl's, because there is something refreshing about a skincare company that doesn't rush out to put fad-based products that are just lackluster in quality, like so many others do. Although I haven't exactly been a heavy user of Kiehl's (so far I've tried the Midnight Recovery Concentrate and the BB Cream, and am in the process of testing out a couple of mini-sized samples - so stay tuned), every product I've tried from them so far has actually been pretty good, and the formulation has also been unique, as far as skincare products go - if you've read enough ingredients lists, you'll notice their products are definitely not a slavish copy of whatever trend setter is putting out on the market. 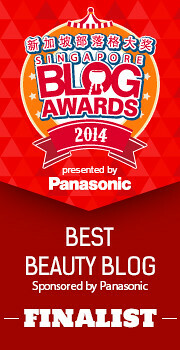 Case in point was their BB Cream, which was the lone BB cream formulated without silicones. 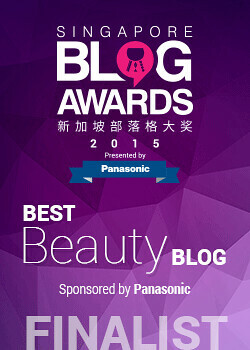 But this is waaaay more interesting than BB cream. It's skincare! Lovely looking copper pots, like the hero ingredient Copper PCA. The next interesting thing about Kiehl's is also their marketing. For both the Kieh's Powerful Wrinkle and Pore Reducing Cream and the Powerful Wrinkle Reducing Eye Cream, the hero ingredients highlighted in the marketing materials is Copper PCA and Calcium PCA, which both help in improving skin moisture and elasticity (which is very useful if you are looking to target wrinkles), and have some sort of regenerative effect on the skin. Definitely much classier than the junk-food-style marketing often seen from other brands that either touts useless things like "collagen" (doesn't actually work) or "magetnized water" (if you even did science when you were 15 you'd know that doesn't even make sense..it's like saying, for example, magnetized apple juice). Thick white creams that help with skin moisturization, firmness and elasticity. Both the Powerful Wrinkle and Pore Reducing Cream and the Powerful Wrinkle Reducing Eye Cream are white creams that are very thick and luxurious. In fact, when I tested out both the creams, I found them to be on the heavy side. Then again, texture is usually a matter of preference, and a richer creamier texture is usually a good choice for the appropriate demographic for wrinkle-reducing creams. However, this doesn't mean the cream sits on top of the skin. It does absorb into the skin, but it just takes a couple more minutes. But, texture aside, I found that this cream did do what the packaging advertised. It did help with moisturizing my skin, and also helped with making my skin feel smoother and plumper. It did also seem to help with my skin's elasticity. Now I'm not quite at the age where this is a major concern, but I do think that my skin feels a little bouncier, which is a good thing at any age. 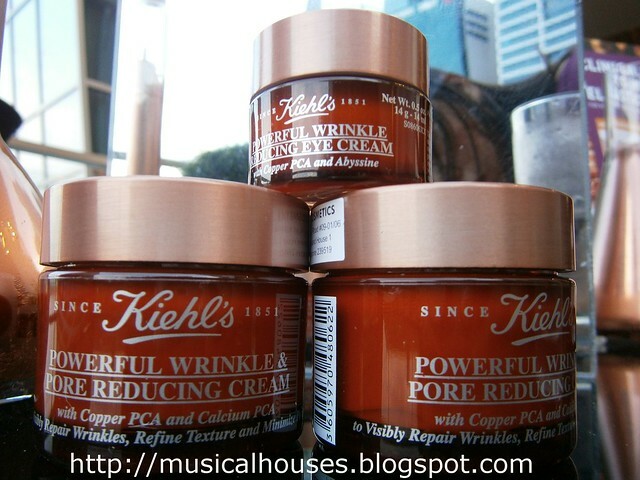 Kiehl's claims the product improves elasticity by 32% and texture by 26% within 4 weeks. Perhaps the only gripe I have is that the products are packaged in jars, which I generally don't prefer. My favourites are airtight packaging (pumps) or packaging that doesn't require fingers to handle (squeeze tubes), but I guess given the thick texture of both products, a jar was probably the most sensible option. After all, a thick product would probably clog up a pump or tube. But I guess if the biggest gripe about the product is the packaging, then that's a good thing, right? Lastly, let me devote a bit of time to my favourtite topic - ingredients, which are really the most interesting thing about the product. I couldn't find the ingredients list online at all, so yours truly decided to photograph the bottom of the label to give you the ingredients lists for both products! A combination of humectants, emollients, and barrier ingredients make this product intensly hydrating. The Powerful Wrinkle and Pore Reducing Cream has a good set of ingredients - there's water, a bunch of humectants and emollients (glycerin and apricot kernel oil), and a couple of silicones to help out with the otherwise-would-be-even-heavier texture (here they used cyclomethicone and dimethicone, which are usually not troublesome for most skin types). I liked the fact that apricot kernel oil is one of the top few ingredients, as it is another of the key ingredients highlighted in the marketing materials. There is also the addition of barrier ingredients which prevent water loss from the skin (e.g. petrolatum, which gets a lot of bad press but is actually safe for us on skin), which makes sense in a cresam meant to target wrinkles. So the combination of humectants, emollients and barrier ingredients means that the Powerful Wrinkle and Pore Reducing Cream is actually performing double duty, helping to moisturize your skin, as well as prevent further water loss. This makes it an effective moisturizer even for very dry skin, and would be pretty effective for mature skin as well. The Copper PCA and Calcium PCA ingredients are also in there too. A good combination of humectants, emollients, and barrier ingredients, suited for eye-area application. For the Powerful Wrinkle Reducing Eye Cream is pretty similar in its combination of emollients (squalane, palmitic acid), humectants (glycerin, panthenol) and barrier ingredients (beeswax), and some other ingredients to help with texture (silicones as well as polymers) so it should also be very hydrating as an eye cream. 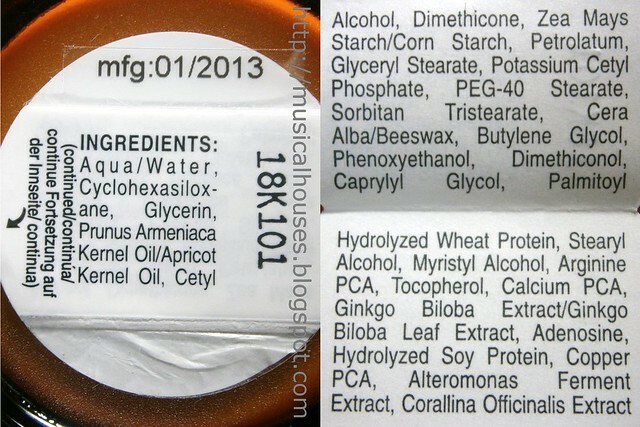 In this sense it isn't all that different from the Powerful Wrinkle and Pore Reducing Cream, but some ingredients (e.g. apricot kernel oil) are substituted with other things to ensure it is suitable for the eyes. In addition to the Copper PCA and Calcium PCA, there is also the addition of caffeine, which is usually added to depuff eyebags, which is a bonus. So what are my thoughts on both products? They're very strong moisturizers all around, and would help with generally improving your skin's elasticity and plumpness. While the products may both be a little on the thick side, I feel that if you can get over the texture, these are good products for anyone wishing to tackle dry skin with some sagginess. 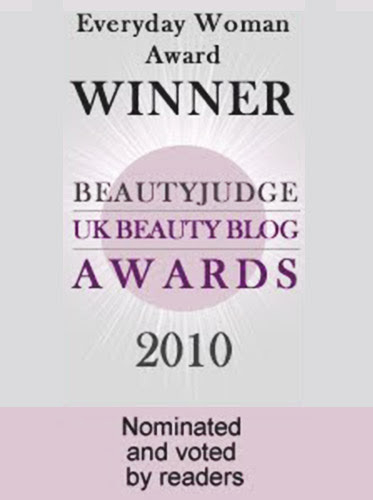 If you want to find out more, the Kiehl's website has a feature on both products. Hmmm...interesting and impressive indeed. This seem like a great product to try out. I think I'll try on this one since I love trying out skin care products. Hey, thanks for posting this! I'm looking for a new night cream and this sounds very interesting. The ingredients list looks pretty good, although the random %age claims are a little strange. if you don't mind my asking, what kind of night cream do you use? I'm a big fan of your blog and would love to hear about your skin care routine. 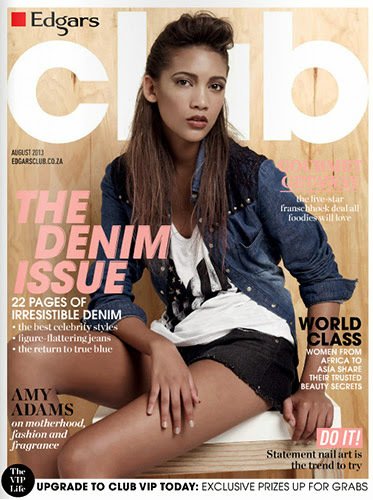 @Amber: I've no idea how they came up with the %age claims either, I'm guessing they probably did some form of testing? For my skincare routine, it does change up a bit more often than I care to admit! Sometimes this is due to me reviewing products, or otherwise just me changing things up. Because my skin is quite pimply and oily, so some products I like might be pretty different for someone with a different skin condition (e.g. someone with really dry skin). I like products with ingredients that are strongly backed by science, so generally things like retinol, Vitamin C, niacinamide, or some sort of AHA/BHA etc. are my favourites. So my ideal routine (which I'm not actually doing right now) would be a cream with retinol at night (I've reviewed one before: http://musicalhouses.blogspot.sg/2013/02/skincare-that-works-vitamin-c-retinol.html ) and a Vitamin C serum in the morning (another review: http://musicalhouses.blogspot.sg/2013/01/skincare-that-works-vitamin-c-ha.html ). 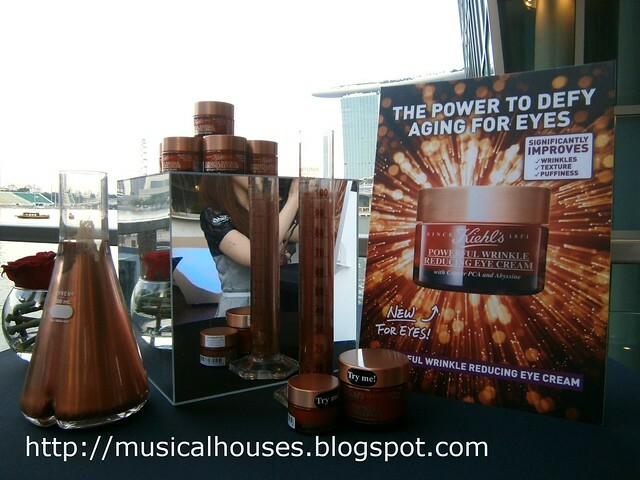 A cream I thought worked well was one with niacinamide was Olay Regenerist Micro-Sculpting Cream (http://musicalhouses.blogspot.sg/2013/03/olay-regenerist-micro-sculpting-cream.html). I think most of these are probably OK for most skin types. I also have been trying a glycolic acid cream (by the brand Alpha Hydrox) and I really like it, but it is quite harsh on the skin so I probably wouldn't recommend it to very dry, sensitive skin types. I hope this helps!